SPIN DIP IS DELICIOUS. Yes. But did you know that even though it's got vegetables in the title, restaurant variations can pack anywhere from 800-1500 calories!? 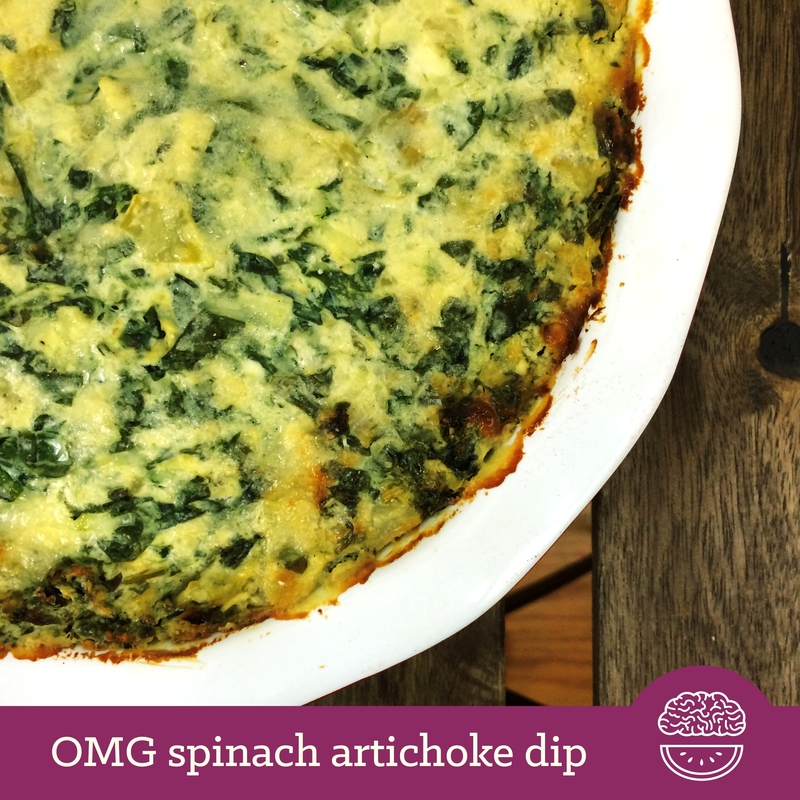 The Chili's order of Spinach Artichoke dip racks up a whopping 1440 calories, 92 grams of fat and 142g carbs! I KID YOU NOT! Delicious as it may be, that just cannot qualify as nutritious, veggies or not. Well, I put the spinach back in spin dip, and it's so tasty AND guilt free that you'll be saying OMG! Lightly sautÃ© onions, spinach and garlic in a skillet using cooking spray (or olive oil if you prefer, but fat will be higher in nutrition facts) until spinach is wilted and onions are transparent. Mix all ingredients in a bowl (except parmesan) until well combined. Transfer to baking dish (I used a pie plate!). Bake 25â€“30 minutes, until heated through to cheesy deliciousness, and crispy on top! Makes about 16 1/4 cup servings.